We were appointed as interpretive designers for the £20 million redisplay of Stirling Castle as part of a two stage Design and Build contract. We were responsible for all aspects of the design including: interpretive planning, research, copywriting, 3D exhibition and interior design, graphic design, multimedia, AV and interactives, procurement, project management and build. The project involved the presentation of collections and interpretation over a large and complex site, and was designed to meet the needs of a number of specific audiences. 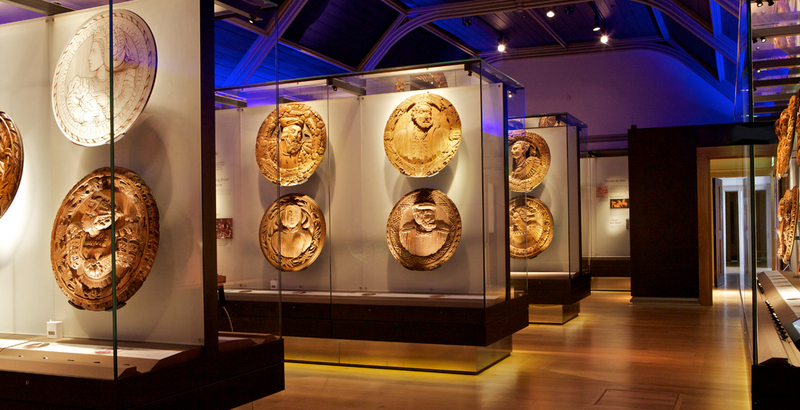 The Stirling Heads Gallery displays the internationally important collection of 16th century oak roundels which once graced the ceilings of James V’s palace. The interpretation draws on new research which highlights James V’s remarkable decorative scheme for the palace, designed to tell the story of the king’s greatness and the benefits his reign would bring. The focus of the displays was on the collection with supporting interpretation designed to be as accessible as possible, combining touchscreen interactives, film, foreign language and large format interpretation, and catering for a broad range of learning styles and abilities (tactile, large print, BSL etc). As part of our work we designed and prototyped the bespoke display cases to house the Stirling Heads including special mounts. 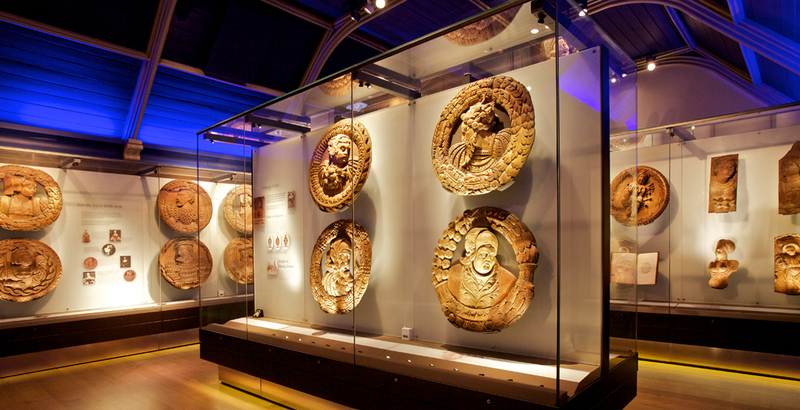 The Stirling Heads are carved oak roundels from the 1540s which once graced the ceilings of James V’s palace and are of national and international importance. This is the first major display of the Heads. Interactive touchscreens in the Access Gallery are designed for visitors with visual or auditory impairment.